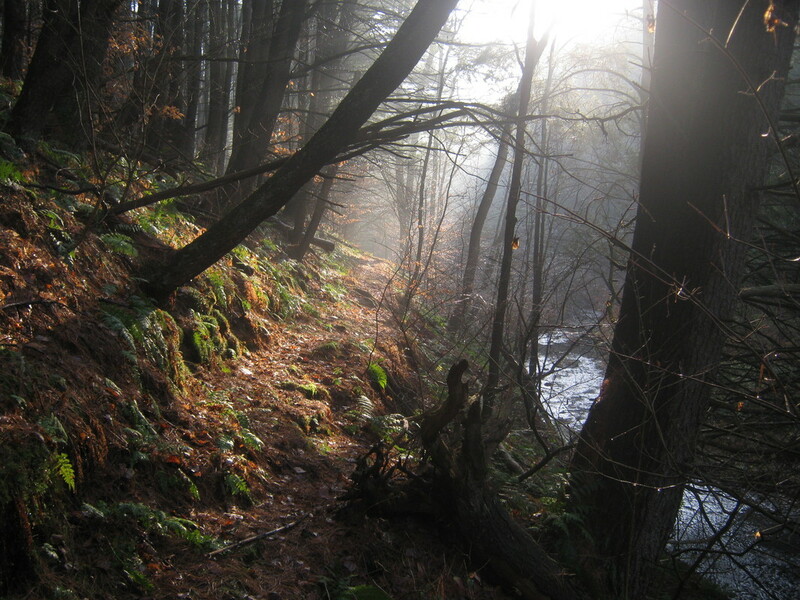 The Susquehannock Trail System (STS) in North Central PA is a wonderful trail system consisting of 63 trails adjoined into one 85-mile loop. 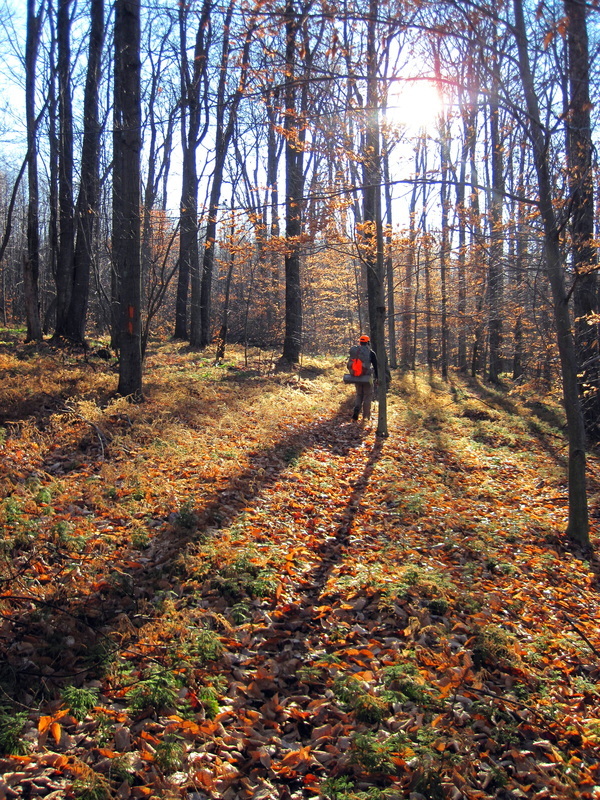 The STS is a very remote trail that receives far too little use. Of course Hammersly Fork Wild Area is amazing and well known, but the rest of this route is an unknown gem! This trail includes a good amount of elevation change, although many of the climbs and descents follow old logging grades left behind from the early 1900’s logging era. The walking is enjoyable and plenty of trailhead parking areas, including a few PA state parks, provide easy access to this trail system. I have been on many trips in Susquehannock State Forest, and I almost always see more wildlife than humans! As mentioned, the STS consists of 63 separate trails. 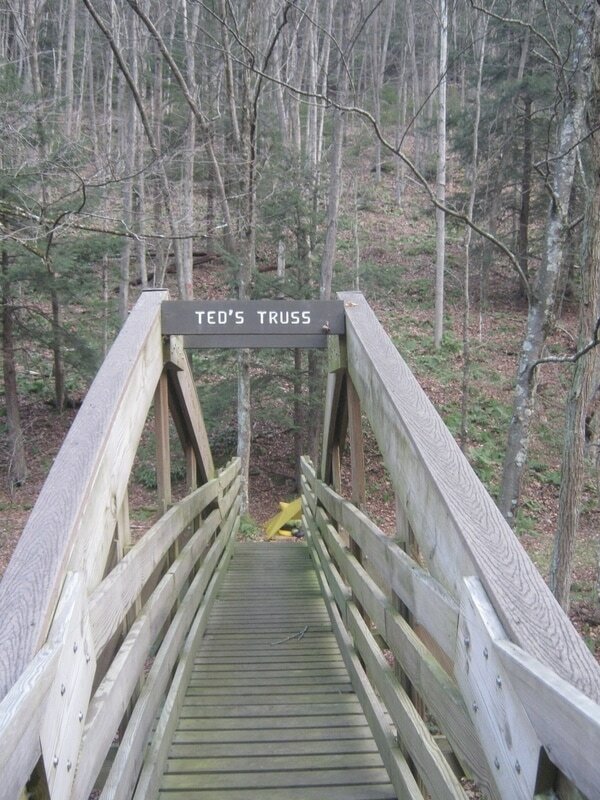 Selfless volunteers care for these trails, which often includes maintenance of fun trail signs and trail names. 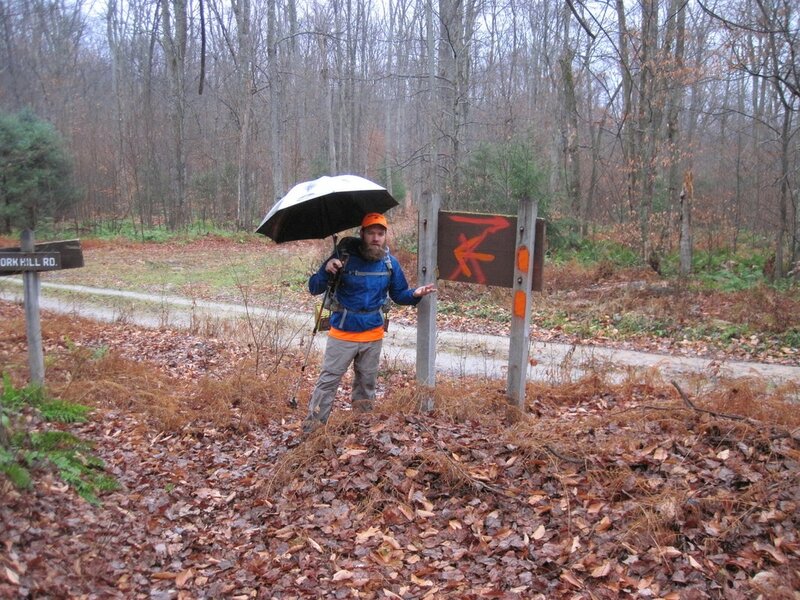 The first lesson of the STS is enjoy and appreciate trail signs. Signs such as: 'Spook Hollow Trail', 'Cardiac Climb' and the ‘Almost Halfway’ sign, ‘Old Stove, Deteriorating Landmark’ sign, 'Rattlesnake Trail', and more, entertain during every trip. There are also several stream crossings, some of which have really really nice foot bridges (with fun names to go along of course). A wonderful new highlight to this trail system is an 'Adirondack Lean-To', which was built by volunteers in 2016. Lesson two: Dark Skies. This loop lies in the middle of Susquehannock State Forest, which is known to have the darkest skies east of the Mississippi River. Enjoy the stars on a clear night; this is the best place to see them. A very remote area, the STS truly makes a person feel alone in the woods. 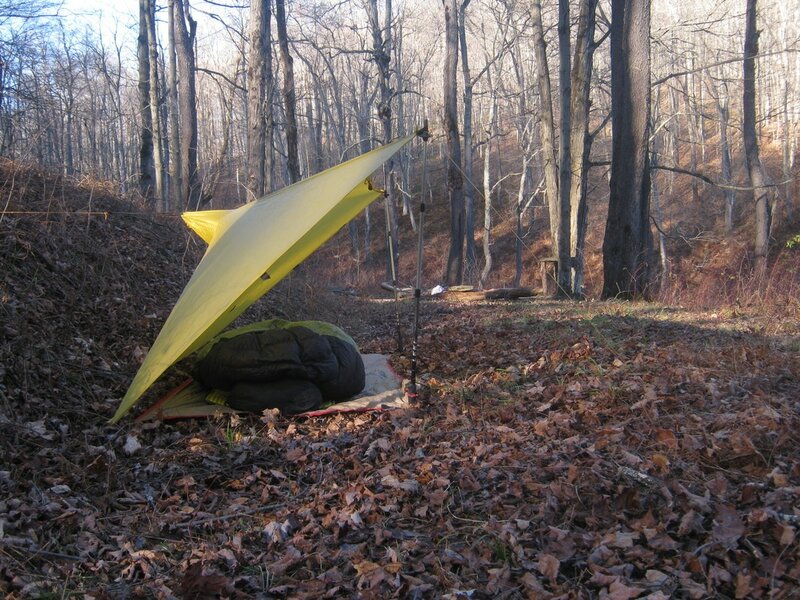 Even though there are a multitude of back country campsites along this route, many of them are underused. This brings us to lesson three: Camping along the STS sometimes means simply finding a flat spot in the woods to rest your legs and back and lie under dark skies with nothing but the mountain breeze (or the howling coyotes) to awaken you throughout the night. Lesson four: Connector trails. The STS is a system of trails which can be combined in a multitude of ways. Hikers strapped for time can find plenty of access points to day hike a section of this system. Adventurers with plenty of time can access other long distance trails that connect with the STS and make unique loops. These trails include the South Link Trail, North Link Trail, and Donut Hole Trail. A creative backpacker with weeks of free time can literally hike hundreds of miles through this part of the state without having to walk more than a few miles on paved roadways. Of course, be sure to check your guidebooks and maps at all trail intersections, as some signs and blazes can be confusing. Carrying a week's worth of food and gear can be a daunting task for a backpacker. Luckily, the STS has options to mitigate this problem. Lesson five: Resupply and shop local on the STS. The STS leads straight through the small town of Cross Fork, which has a post office, general store, and two restaurants/bars. The general store sells snacks and delicious deli sandwiches. Ole Bull State Park is another resupply location to consider. This park boasts swimming, campsites, and bathroom facilities (including showers). A backpacker may be able to cache or mail food to the park office. Denton Hill State Park is for day use only, but could also be a resupply point. Of course, always call ahead to all possible resupply areas to ensure that the business is open and willing to aid with your trip.